Sanjay Dutt has always been an interesting actor in Bollywood. He has chosen movies that have had unique plots, groundbreaking collections at the box-office and good music. People love Sanju Baba for his swagger and his charm. 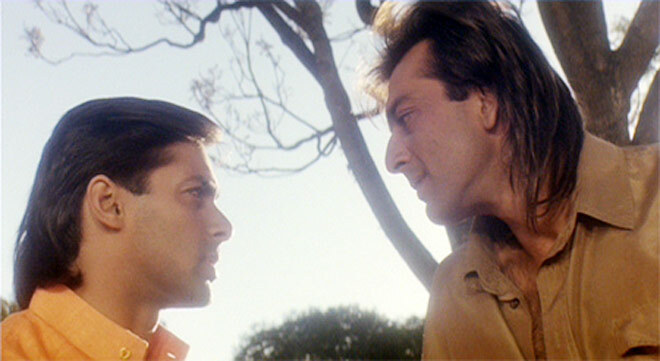 Here are 5 best Sanjay Dutt movies of all time you simply cannot miss. A romantic thriller Sadak, Sanjay Dutt plays Ravi, an insomniac taxi driver who is struggling to get over his sister’s suicide because she was forced into prostitution. Ravi decides to save Pooja and Chanda from the talons of a madam – Maharani. Aman is an orphan who has been taken in by a wealthy family with a son, Akash. They grow up like brothers. Amar is a poet who publishes his work under the pen-name Sagar. All is okay til both of them fall for the same girl, Pooja. One of the best crime-dramas of all time, Vaastav is a tale of a son from a lower middle-class family. Raghu is not great at academics and runs a pav bhaji stall. He gets involved with the gangsters and then he becomes one himself. A goon Munna Bhai pretends to be a doctor to impress his parents. When the father find out that the son has lied to them, he is heartbroken. To fix this, Munna decides to enroll in a medical college along. This comedy was embellished by the super comic timing of Arshad Warsi as his sidekick, Circuit. In this tale of emotions, love and friendship, Sanjay Dutt plays a simple and straightforward man Girish who is the protagonist Lalita’s friend and confidante. He extends his support and warmth towards her and helps her through the emotional turmoil.